The risk for class action status in hotels is real. Thus far, class action status for bed bug infestations has been granted in Iowa and South Carolina. The Iowa class action case involved two apartment buildings with a settlement of approximately $2,500,000. The South Carolina case, which was certified, remains pending in District Court. In addition to apartment class action cases, there is at least one case against a homeless shelter that has been certified. Multiple mass tort cases in California have been settled in excess of $300,000 in both apartment and Single Resident Occupancy (SRO) complexes. Just recently, California juries have returned verdicts against a hotel in excess of $500,000 and apartment complex in the amount of $3,500,000. On the east coast, juries have returned verdicts in the: Parker case in Baltimore in the amount of $90,525 (apartment case); Shabaan case in Annapolis in the amount of $800,000 (apartment case); and, $100,000 in a Prince George County case (hotel verdict) within the past 5 years. The first reported bed bug case, Mathias v. Accor in the Seventh Circuit arising out of a Chicago hotel in the early 2000s for $360,000 was thought to be an outlier. Recent results from juries on both the east and west coast reveal this is the norm and not the exception. Cases have been brought in both state and federal courts. In fact, in an apartment case arising out of Waukegan, Illinois (Stewart v. Waukegan Housing Authority), a federal judge in Chicago allowed a bed bug class action to proceed in federal district court under a civil rights “state created danger” doctrine. Hotel cases pose different challenges than apartment cases. Due to expectation of privacy concerns, an apartment manager has limited access to individual apartment units to make periodic inspections for bed bugs. They must rely to some extent on tenants reporting suspected bed bug activity. The “duty of care” is therefore adjusted based on the realities faced by owners of apartment buildings. Hotels, on the other hand, are given daily access into every room by housekeeping and maintenance. While catching a single bed bug introduction may be difficult, hotel staff are expected to make at least a cursory inspection to search for evidence of bed bugs. The goal is to prevent a small introduction from becoming an infestation. This fact may be the reason why a short stay at the Rancho Cucamonga hotel produced a recent verdict of $546,000 while an extended stay in an apartment unit in close by San Mateo sustained a verdict of $71,652. However, in the San Mateo case, the attorney’s fees obtained were over $500,000 highlighting how costs explode when these fees are considered. The settlements obtained in Hotel cases have ranged significantly. On the low end, a small bed bug claim may settle for as small as $5,000 while a more severe bed bug claim may settle for $50,000 for a short stay. The larger risk for a hotel may not be the individual case where the bed bug outbreak is somewhat localized but in the class action context where the bed bug infestation can be shown to be building-wide. As the infestation grows, so does the degree of legal exposure. For example, if the number of guests affected by bed bugs exceed 40 due to a single infestation covering multiple rooms, the Plaintiff’s attorney may attempt to gain class action status. During the discovery process the potential class would have access to pest control and guest records to determine others who may be have been impacted during this time. The number 40 has become somewhat of a threshold courts have set for the minimum number of claimants required to form a class. Once this “magic” number is reached, a class can be certified where there are common issues of law and/or fact identical to the group. If the common issues predominate over individual issues, the class action vehicle Is viable. For instance, the class may seek to certify on liability only meaning that all that needs to be proven at trial is the “fact of infestation”. This would leave the damages or financial issues to a later trial. In cases where consumer fraud or a business practices act violation is alleged, the Plaintiff may be able to claim attorney fees for both phases of the litigation. Thus, the hotel may not only be faced with the daunting prospect of a large bill from their own attorney but an even larger bill from the Plaintiff’s lawyer. To complicate matters, bed bug cases have traditionally invoked insurance coverage disputes between the property owner and the insurance company. For instance, while claims involving personal injury are normally covered under an insurance policy, the business practices claims are not. This would mean that that there would be no coverage for the Plaintiff’s attorney fees as well. 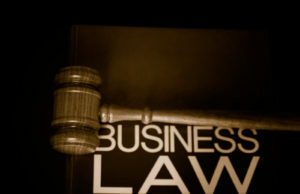 It is very possible to have a business practice claim worth a few hundred dollars per Plaintiff but an attorney fee bill exceeding $50,000 for a relatively small trial and several hundred thousand dollars for a class action proceeding. Hotels that haggle over small claims are very short-sighted. A smart Plaintiff’s lawyer will keep detailed billing records in the event the claim goes to trial adding large dollars to what could be a very minor claim. In cases where consumer fraud or a business practices violation is being alleged, the key is for the hotel to mitigate its exposure by considering these attorney fees at the outset of the claim. Also, a hotel should always offer to waive the room fees and pay for replacement clothing costs or laundry charges. If the hotel can eliminate the economic losses incurred by the guest, it may be able to completely avoid a consumer fraud or business practices violation case. This holds true in individual as well as multiple Plaintiff claims.